Claire is 32 but feels twenty years older. She is constantly juggling a busy and stressful job with the needs of her energetic four-year-old son. And when the stress spiralled out of control, Claire took comfort in food. Since adolescence Claire would go from yo-yo dieting to extreme binges, and on a bad binge day she could pack away more than 8000 calories. She turned to food to heal past emotional problems and even though she's undergone therapy, she's never been able to take control of her eating disorder. She was also at the point where she worried that she couldn't keep up with her son. Claire longed to break this vicious cycle and desperately wanted to get her life and her weight under control, so she could play a more active role in her young son's life. It’s a familiar story? 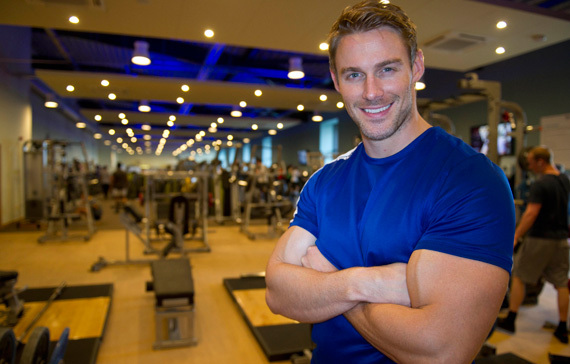 And handsome weight loss coach, Jesse Pavelka flew in from America and told Claire to eat less and exercise more. That’s it in a nutshell really. What happens when the cameras leave and the attention fades? Can you fill in the gaps? What’s your experience of conventional dietary wisdom? And why don’t these shows ever record a follow up 6 months, one year, two years down the line? Because you’ve probably guessed it, Claire will have put the weight back on. In the interim, the staggering transformation makes for perfect “fairy tale” television. Sadly, anyone watching this type of show with excess fat to lose can’t help but take on board the fact that to get from morbidly obese to “normal” involves getting up at 6 o’clock in the morning; putting in 2 to 4 hours of training per day and eating less that 1500 calories for each meal. At least that’s what conventional dietary wisdom tells us. And watching Claire’s secret diaries recording her binge eating during her diet when the stress of it all got too much for her (6 large bars of caramel chocolate in 4 hours on one occasion) suggests that things are not under “control” and that the long cycle of yo-yo dieting may well return. Oh and did you catch Jesse Pavelka’s response when Claire fell so spectacularly off his wagon? He blamed her and her “issues”. This is horribly common amongst health professionals who will always blame the slimmer's lack of will power and tend to believe that slimmers delude themselves about their eating and exercise habits and don’t stick to the rules. At Paleo Works, we say that it’s not because people don’t work hard enough at “eating less and exercising more.” People don’t succeed because the strategy itself is based on flawed science and simply doesn’t work! We say so called 'healthy eating' causes more problems than it solves and even leads to weight gain and ill health. We say "Eat More and Exercise Less!" This may go against the grain of what we're told to believe but it's absolutely true. If you just want to lose weight then it is entirely possible with diet alone, remember exercise is a fitness tool, diet is the weight loss tool. Claire needs to lose the physical addiction to sugar (and grains) and to build her diet up around good fats and protein with carbohydrates taking a back seat. In this way, Claire will create balance and space for other good things to come into her life. Once this process is up and running, Claire’s body will become a fat burning machine taking energy from fat stores and using the surplus fat in her body to fuel her life. How many more have to end up like Claire, or worse end up dying as a result of excess fat? Well given current practices and standard dietary advice the answer perhaps is many more. However there is an alternative, a solution. So if you' re overweight and believe you too only have a year to save your life, or simply want to improve your lifestyle and well being, take a look at what Paleo Works has to offer, let us empower you to change your life forever. One can have the same impression when watching the TV programme “The Biggest Loser” in the UK. Those few obese people who should feel lucky for being selected for this programme, are there to lose weight under the guidance of some wiseguys, who know very well how one should get slimmer, just their method does not seem to work at all. These fat people have to do prescribed exercises (very hard, literally making them ill), they are on prescribed (“healthy”) diet, and as a result, during one week they can get rid of a few pounds at most. At the end of the series the biggest loser will be the winner. (Unfortunately, they won’t win everything in the long run, so a least the title “the biggest loser” was a correct choice.) The whole series is very upsetting to watch, because 1. You see how desperately these people try to lose weight, 2. How totally impotent the method is, 3. How THEY are blamed for not having lost enough. (They do everything as they are told!) When I am watching this programme, I always think to myself: you should just try the paleo, and you would be amazed how easily you can get rid of those stones. It makes me sad that these people seemingly do their best to get slimmer, they are willing to do everything for this, and if they should only know how easily all this could be achieved… Just nobody tells them. Absolutely, we find it heart breaking and has us getting all emotional about it too. It really is a travesty, though we are doing our bit in more ways than one to get the message out to the people of the UK. Since I'm working on improving my overall health, as well as weightloss, I'll be looking into the Paleo way of eating. When I get back to my desktop I'll check out the videos on your site as a start. Thanks for sharing your wealth of knowledge in this area. Also, thanks for liking one of my post at A Walk With Words. May I ask a question? My boyfriend's 7 year old son has been diagnosed with Aspergers Syndrome (mild form of Autism). I firmly believe his damage was triggered by his immunizations (u "liked" my post earlier about the LeRoy girls, so you can guess where I stand lol). I believe his "gut" is damaged,and he is much less able to digest these processed foods. I have found a wonderful enzyme, and cannot keep him on any diet, because we share custody 50/50 with his mother, who....basically has the opposite view of everything... Any suggestions for helping his little body? and trust that if you continue with a paleo diet and primal eating and explain to your boy why you are choosing to eat this way (your tummy feels better) and how what he is eating can affect him in a good way and let him experience this..then he will follow your lead. He will experience a difference and although we can never dictate what our children eat outside the home it may be that he takes the positive eating experiences back with him to his other home? Good luck and let us know how you do? Bingo! Most people have a flawed strategy, hence why they aren't seeing results, despite trying really hard! Diet has become a four letter word for starvation and can induce depression, binge eating and weight gain. This is something that I have known all my life. It is nice to see that more people are looking for a sustainable lifestyle conducive to true wellness. I completely agree: Eat more, exercise less. Slim people that eat right and exercise maintain their weight fine, but when you are obese you need to eat the right food, the right amount and not kill yourself in the gym that takes up hours a day. It's not realistic for a working woman like myself that would still like to have a social life. I'm enjoying reading your blog, though! 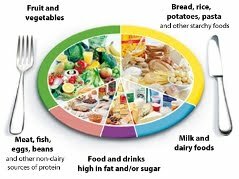 By far the largest proportion of your diet percentage wise should be fat at approx. 60-70%, protein coming in at around 15%, the rest made up from carbohydrate. I abhor the idea of making a game show out of obesity which is not just a personal issue but a complex social one. Just think of the way food is marketed...there are entire aisles in the grocery store devoted to pre-packaged foods that are high in fat, sugar, and salt. This is an excellent website, I really enjoyed the advice. Thank you. 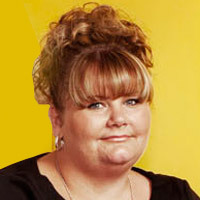 I am Heather, Claire's trainer & nutritionist during the show. I would just like to ask where you got the info that she has gained the weight back?? She hasn't put the weight back on - in fact she has continued to lose. Jessie Pavelka saw these people only once every few months, it was us (the trainers) who were responsible for training and assessing, guiding and motivating day to day. Claire followed MY diet - not Jessie's. These shows are edited to show in a certain light, they are not all they are cracked up to be in the 'calorie counting, beasting' way of training and diet. Well, at least Claire's wasn't. I know nutrition and I know exercise. I know what works and what doesn't. We weight trained (alot) Plus we fat burned..(in her optimum zones that we got tested for her via gas exchange testing). She ate the right things, at the right times and never, ever counted a calorie. If ever I am ever quoted "Eat Less, Exercise More" I will quit my job. I just need to make you aware that the routines were not set by Jessie, they all followed different paths all set by their own individual trainers. Some follwed Jessie's diet - myself and another trainer did not. We made that choice. We DID address her sugar addiction, and I taught her about carbs and their uses in nutrition, as well as the importance of protein and fats. Myself and Claire are very good friends as a result of the time and emotions we shared together. She worked so hard, and was an inspiration to me - I've been in the industry for over 10 years. And she inspired me in more ways that I could have imagined. She is continuing on her new life path - she is doing it the RIGHT way, no matter what the 'TV Media' make out. Things aren't always as you see, or as you are lead to believe. Just had to leave my pennie's worth. You cannot generalise about these people. People have no idea about the person she is, or was...or has become. It was a very hard, demanding, emotional journey, for both of us. Heather, hi – thank you for taking the time to comment. Our comment that “Claire will have put the weight back on in 6 months, one year or two years time” is based on statistical evidence. The problem with this type of show and the aptly named “Biggest Loser” is that you are telling obese people the only way to shift the fat is to do up to four hours of exercise every day (and eat less). We read your comments that this is not how you operated with Claire BUT how do we as the viewing public know that – you suggest that the programme is edited and does not show us the whole picture but we say you are trading on people’s health and wellbeing and you have an absolute duty to set the record straight. Thank you for starting that here. You write that Claire ate the right things at the right time – could you elaborate? Claire is also lucky to have some one willing to work with her one on one every single day and to provide continuing friendship and guidance and support. Do you offer this service to every individual battling with obesity? Hi there, and thanks for your reply. Please let me just say, I completely disagree with shows such as 'The Biggest Loser' etc whose main focus as far as I can see is nothing more than pure entertainment. They are ridiculous and dangerous. 'Obese; A Year To Save My Life' has no connection to these shows whatsoever! 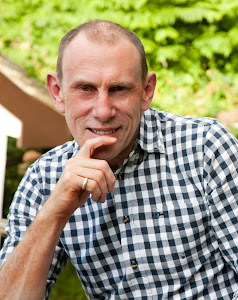 The title in itself shows that this was a 'life' change rather than a quick fix. You cannot help how things are edited for media these days, the trainers had no idea whatsoever how it would be shown or what content would be used. Hence my need to put straight anyone who thinks it was exactly 'as seen' on tv. However, what I do know is that the majority of people I work with (be it trainers, nutritionists or all of our clients) have all remarked just how inspirational these people were - they took a challenge on, each and everyone of them knew what was expected of them for the entire year, and each one finsihed the year a new person. The show gave them a huge opportunity, that most people would never get. This should be seen as just that, a unique opportunity that gave 9 people a second chance. I think if you asked any of them personally not one would say they there was any point that they regretted getting involved. One has now become a fantastic personal trainer himself, one is in training for her second traithalon, one her second marathon....ALL of them now quote 'the gym' as being part of their life, and all of them are continuing their journey by ispiring and motivating the second group of 9 that are starting the journey. People can take from that what they want, but as far as I'm concerned it just proves what can be done. Yes it may take a while longer without the daily support, but.. the same support once or twice a week can go a heck of a long way - but only IF the determination is there in the first place. Thanks so much for this article!!! I struggle and am probably pre-diabetic, and just found out one of my children are as well. I know it's not about eating less, it's about what we are eating. Yeh. Horribly common among the male gurus of food religion too, particularly when dealing with women. So easy to build your career on the backs of women. (see my post on Carrie Fisher story). No Alyson, it's about how much you eat too. Don't follow the food religion gurus. They'd have you believe the "other" guys are wrong, but THEY are right. Flush 'em all. The intense exercise regime used on these shows is somewhat necessary in the interests of time - if you want to remove 100 lbs of fat by oxidation (rather than with a knife) then that's 350,000 calories to use up - that's 1,000 a day over a year so it makes sense to me that the "victims" of these shows have high intensity regimes and a 1300-1500 calorie diet to deliver the results in a sensible time frame - you can't eat a negative amount of calories.